We are participating in the Trout in the Classroom Project. 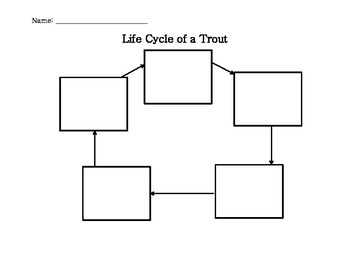 One of the things we are learning about is the life cycle of a trout as we watch our eggs hatch and continue to grow. This life cycle project teaches students about the stages: egg, embryo, aelvin, fingerling and adult. Students cut out the different life stages and glue them in the correct order on the life cycle graphic organizer.